On Tuesday morning, some guy did exactly what he wasn’t supposed to do after dropping his cell phone on the tracks at the East 105th Street L station. Rather than alert an MTA employee, he instead went after the gadget himself — just before the train pulled up. The man then “lay down in the gap between the tracks” as the conductor hit the brakes and passed over him. Very luckily, he (and, possibly, his cell phone) emerged unscathed and left the station, apparently before anyone could get his name or properly scold him. 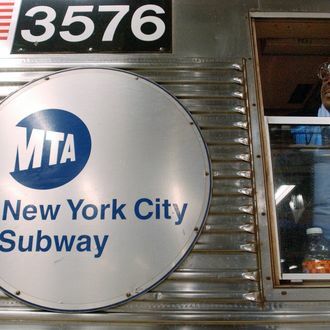 However, the MTA was sure to do the latter via a statement from Kevin Ortiz: “We can’t say it enough. You should never, ever under any circumstances go onto the tracks to retrieve anything,” he told CBS New York. “In essence, those trains can come at you very quickly. What most people don’t understand is that often it’s very difficult to climb back onto the platform from the tracks.” Just listen to them on this, if not for your own sake, then for that of your fellow commuters. Update: According to a New York Daily News source, the man was trying to retrieve a woman’s cell phone, not his own. Chivalrous, yes (he reportedly didn’t even know her), but still a terrible idea.